This more petite and pretty goldstone gemstone is so sparkly with all the flicker and shine you see every time the piece moves. 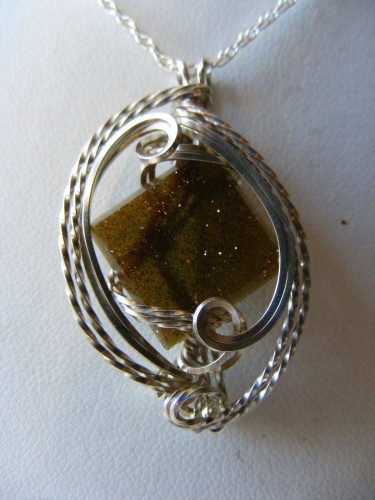 It is sculpted in argentium silver so it doesnt tarnish as easily. Piece measures 1 1/4" from top to bottom and 3/4" wide. Comes with a sterling silver chain.